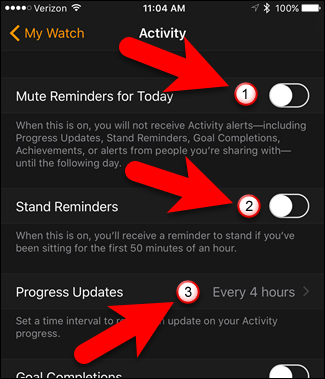 By default, your Apple Watch will remind you to stand, notify you of your goal completions and achievements, and give you a weekly summary of your activity. Tired of seeing all these notifications? No worries. They’re easy to disable. 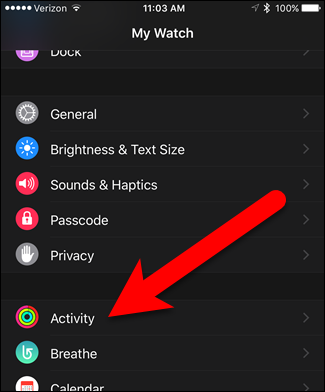 Now, the Activity app on the Apple Watch can be useful. I sometimes like knowing how many steps I’ve taken in a day, but I want to check on that myself and not get a notification on my progress, or lack thereof. I also prefer not to get reminded to stand in the middle of my work. So, I disabled the activity notifications on my watch and I thought I had disabled all of them, but I was still getting Progress Updates. I finally figured out which setting I had missed. 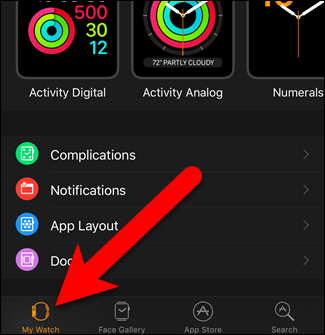 If you don’t want to use your Apple Watch as a fitness tracker, or you just don’t want to be bothered by all the notifications, I’ll show you how to completely disable all the activity notifications on your Apple Watch. 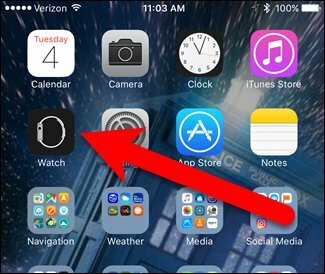 To completely silence activity notifications, tap the Watch app icon on the Home screen on your iPhone. Make sure the “My Watch” screen is active. The My Watch icon at the bottom of the screen should be orange. Scroll down on the My Watch screen and tap “Activity”. If you only want to turn off the reminders for the day, tap the “Mute Reminders for Today” slider button. However, to disable all activity notifications, let’s make our way down the screen. Tap the slider button for “Stand Reminders” to prevent reminders from displaying on your watch telling you to stand (slider buttons should be black and white when they’re off on this screen). The setting I missed initially is “Progress Updates”. Notice it says “Every 4 hours”. Tap the setting to change it. On the Progress Updates screen, tap “None” to turn off the updates. Then, tap “Activity” in the upper-left corner of the screen to return to the Activity screen. 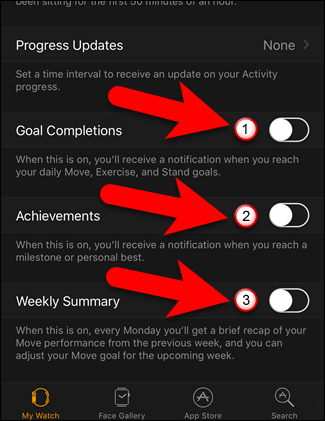 To avoid receiving notifications when you reach your daily Move, Exercise, and Stand goals, tap the “Goal Completions” slider button to turn it off. 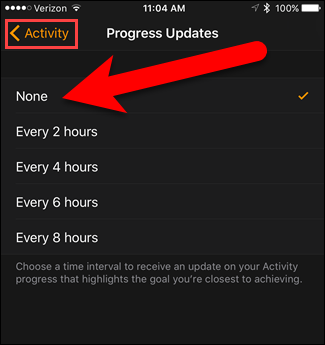 Tap the Achievements slider button to avoid getting notifications when you reach a milestone or personal best. Finally, tap the “Weekly Summary” slider button to turn off that notification. Now, you won’t be bothered by any activity notifications.